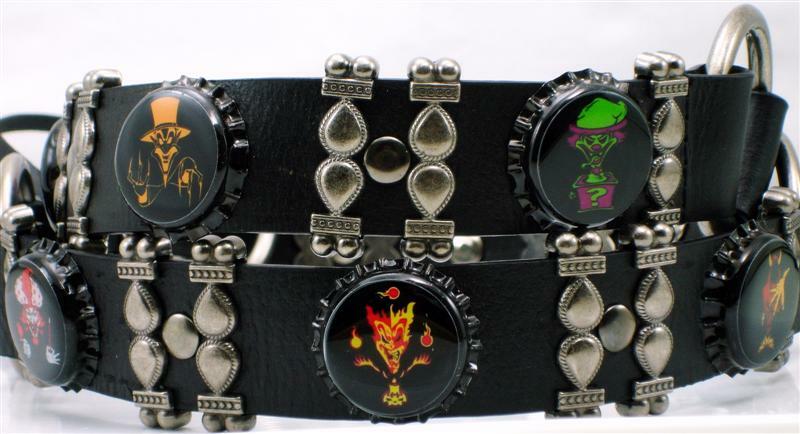 Beautifully hand crafted, 100% unique, black leather belt with star cutouts and a white background, embellished with 6 custom handmade bottle cap conchos featuring your favorite Disney villains encased forever in a glass-like, waterproof, crystal clear, high gloss professional finish. I’ve embellished the center of the stars with sparkling black rhinestones. E-mail me at creativerampage@gmail.com if you need another size and I would be happy to make one just for you! Extremely high quality photo of Heath Ledger as The Joker from Batman – The Dark Knight. After hand forming the metal the photo is encased forever in a glass-like, waterproof, crystal clear, high gloss professional finish. Easy to clean with Windex or warm water. Measures just over 1″ making it a tad bigger than a quarter. Comes with a 30″ ball chain which can easily be cut to desired length with scissors or an 18″ green leather cord. Please make your choice during checkout, ball chain is sent by default unless leather cord is requested. Include your sizing preferences upon checking out and I will gladly size the chain or cord for you. due to the finish being so shiny. Your new necklace will be carefully packaged, wrapped, and shipped within 24 hours of payment received. Sent via USPS first class mail. FREE SHIPPING on additional items, take advantage! If you need more than one or would like to have the charm made into a key chain, pin, earrings, or a bottle cap belt please contact me here or creativerampage@gmail.com. I give generous discounts on bulk orders. 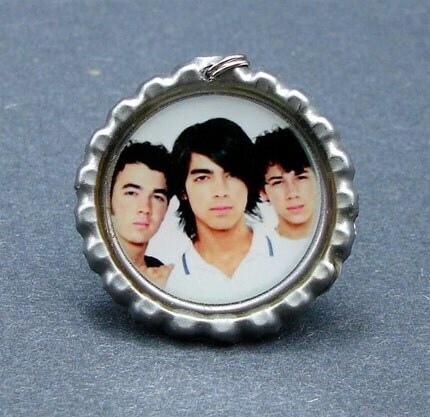 Photo necklace featuring an extremely high quality photo of Nick Jonas smiling. 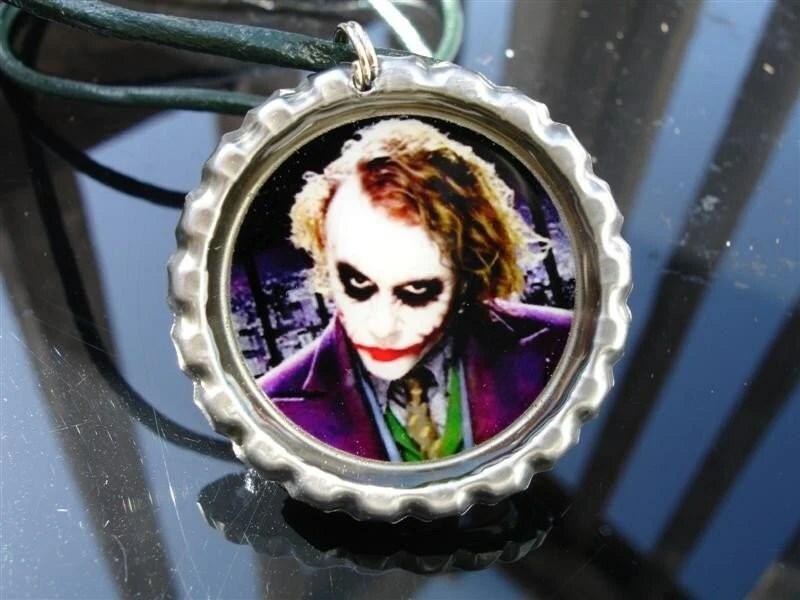 After hand forming the metal the high resolution photo is printed out on a high quality photo paper and is permanently encased inside of a brand new bottle cap with a top quality, waterproof, professional finish that is crystal clear, glass-like and super shiny. 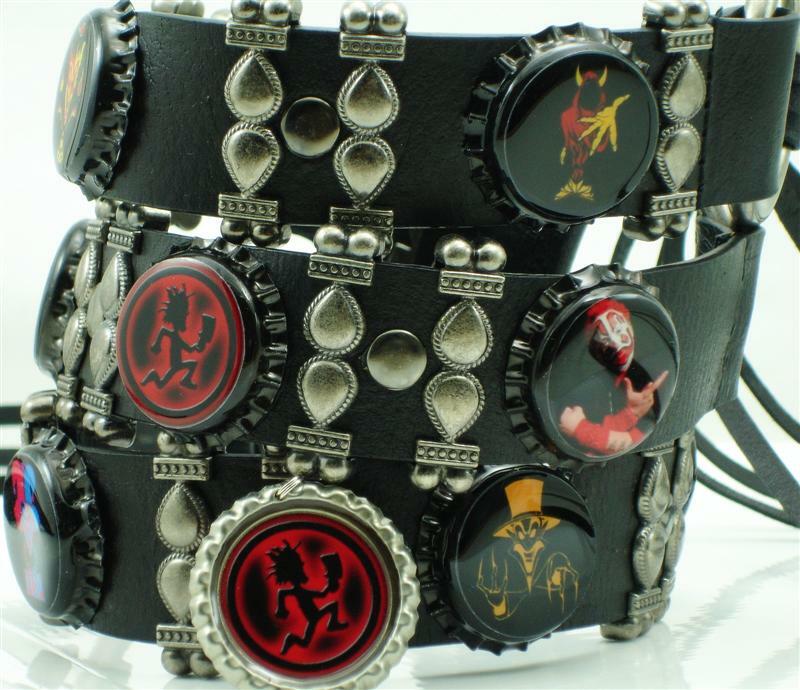 This was a custom order that I did for a lovely little Juggalette in Florida. I made two so this one is still up for grabs. If you need it in another style or size I can make more , just shoot me an e-mail to creativerampage@gmail.com. 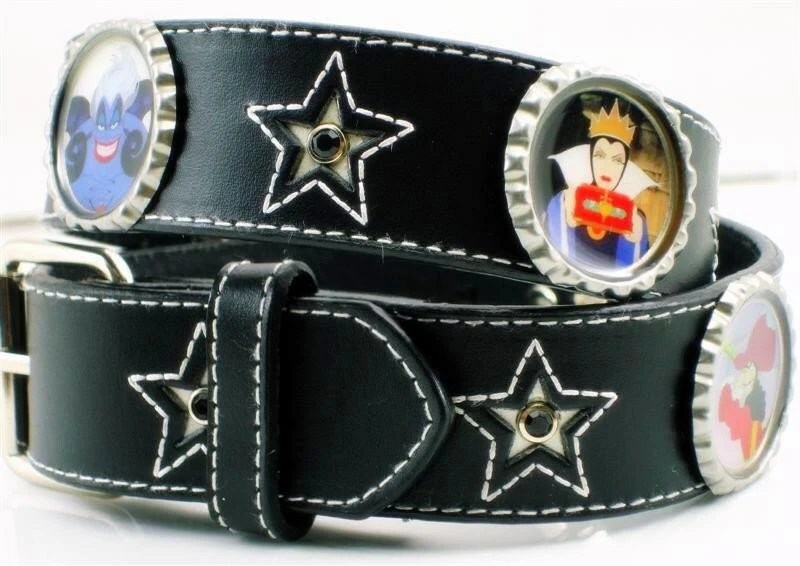 My belts are made securely using high quality brass rivets and the images are protected for life under a professional grade, waterproof, high glass finish. Black elongated cats in Celtic knotwork paw their way around endlessly. After hand forming the metal the cats are encased forever in a glass-like, waterproof, crystal clear, high gloss professional finish. 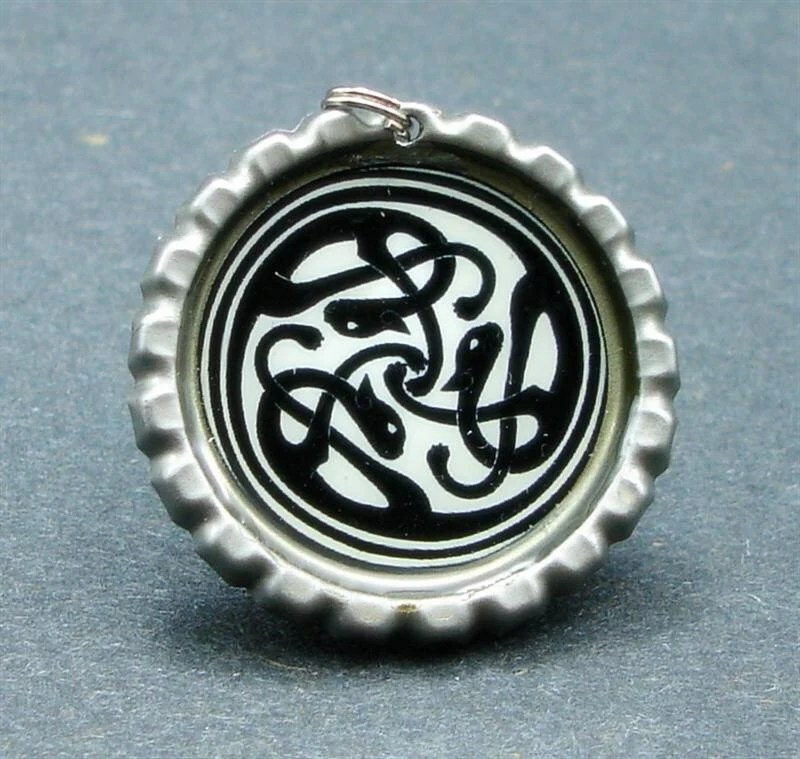 The 1.25″ charm is made from a lightweight brand new bottle cap. The picture is in vibrant color. Free 30″ aluminum ball chain included. The image is printed out on a high quality photo paper and coated with a top quality waterproof finish that is crystal clear, with long time duration. lens due to the finish being so shiny. Your new necklace will be carefully packaged, wrapped and shipped within 24 hours of payment received. Sent via USPS first class mail. Questions, comments, or custom orders? Please contact me. 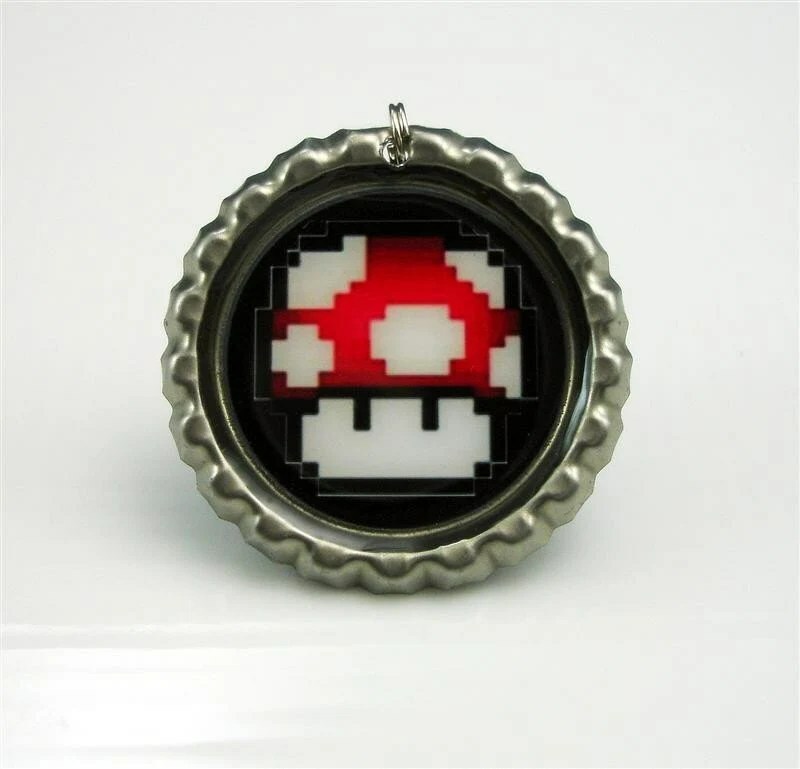 Red mushroom on a black background encased forever in a waterproof, super shiny, and crystal clear high gloss finish. 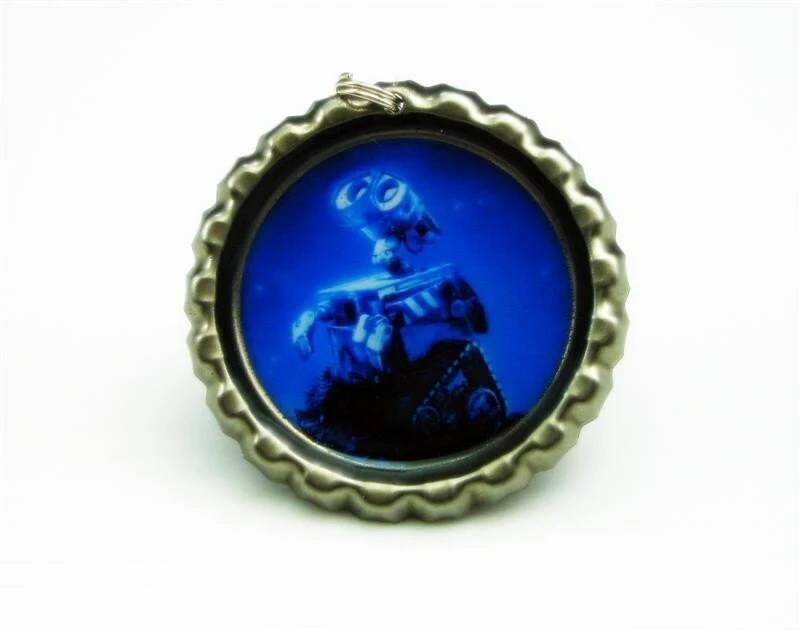 Comes with a 30″ ball chain which can easily be cut to desired length. Extremely high quality image of the Jonas Brothers logo in hot pink encased forever in a super shiny, crystal clear high gloss finish. You’ll love it! 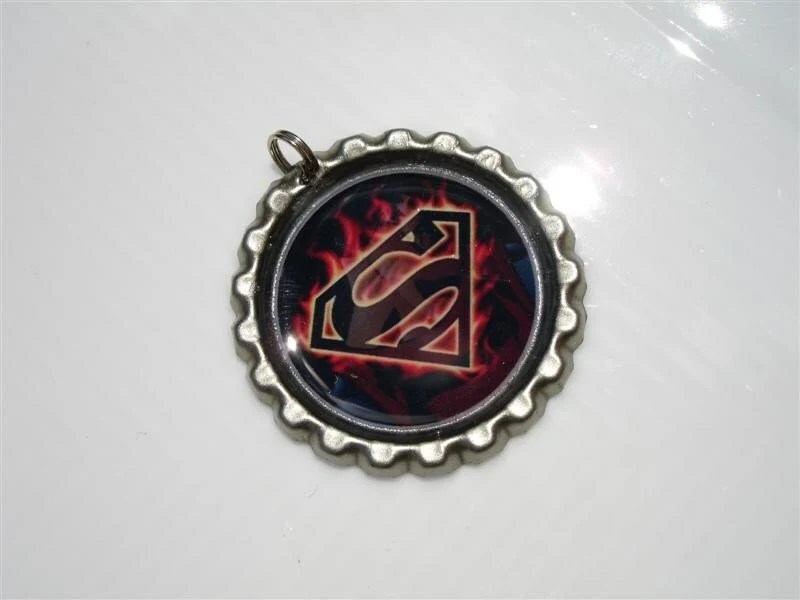 Extremely vivid, high quality charm featuring Superman’s S crest in flames encased forever in a waterproof, super shiny, and crystal clear high gloss finish. 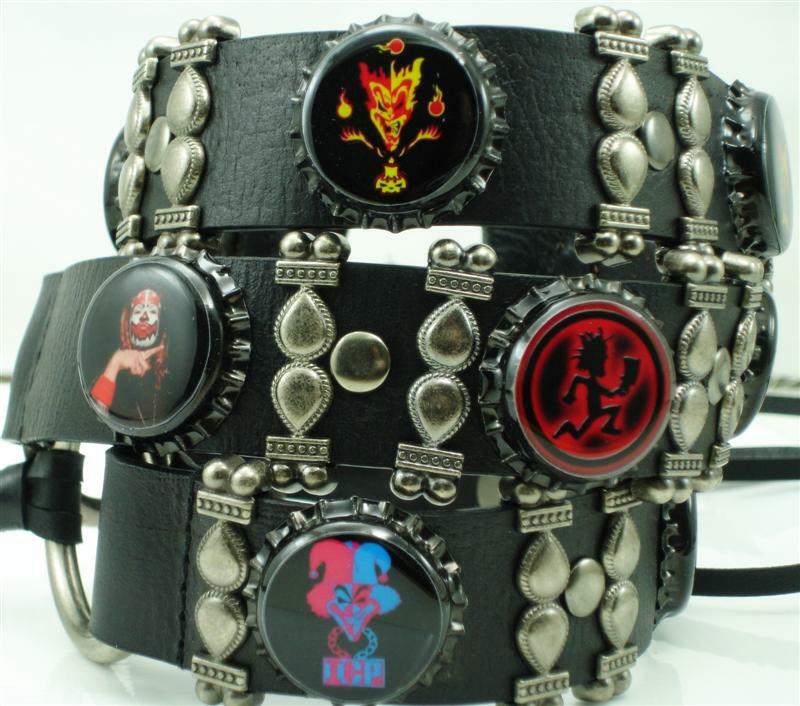 Comes with a 30″ ball chain which can easily be cut to size or an 18″ black leather cord. Please indicate preferences upon checking out. Easy to clean with Windex or warm water. White spots are merely glare from my camera lens. Your new necklace be will carefully packaged and wrapped in a organza pouch ideal for gift giving. Ships within 24 hours of payment received. Sent via USPS first class mail.